The team from Webster Survey Group arrived on site, measuring up the property boundaries and the specifics for the concrete slab. 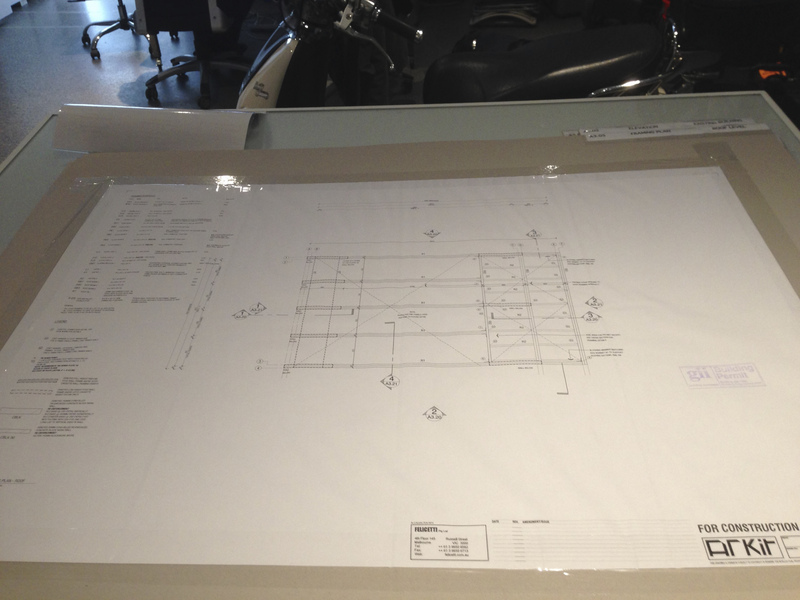 As the building permits arrived, our intern Tessa faced the task of preparing the plans for our project partners. Each sheet was attached to card for protection and organised to avoid confusion. Today marks a major milestone in the 5×4 Hayes Lane Project: the reception of the signed and approved Architectural Plans from the building surveyor. 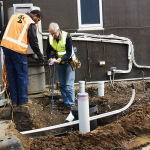 This exciting events propels the 5×4 Project onward into the building phase – FULL STEAM AHEAD! 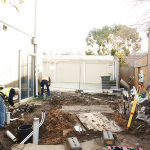 Coming up next= Demolition of the shed and the existing concrete and laying the groundworks for the Geothermal Heating. In addition we are carefully selecting the most sustainable and environmentally friendly amenities and appliances as possible for the build. 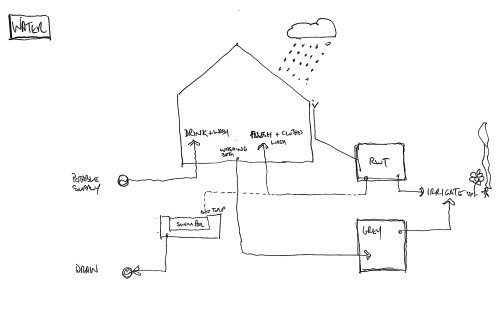 Click on the image below to have a look at some of our ideas for the build and feel free to suggest other possibilities. A note from Ralph Alphonso on the schedule! How is the Project schedule traveling? 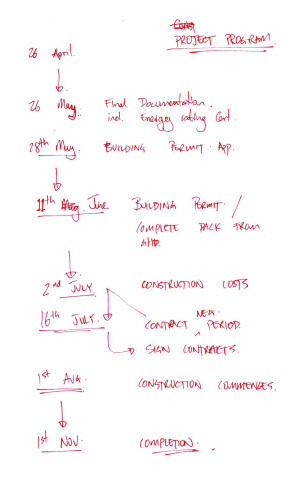 Download of the draft plans of the 5th July 2013. Click on the image below to open the full draft plans. We’ve drafted a timeline for the project, which you can view below. 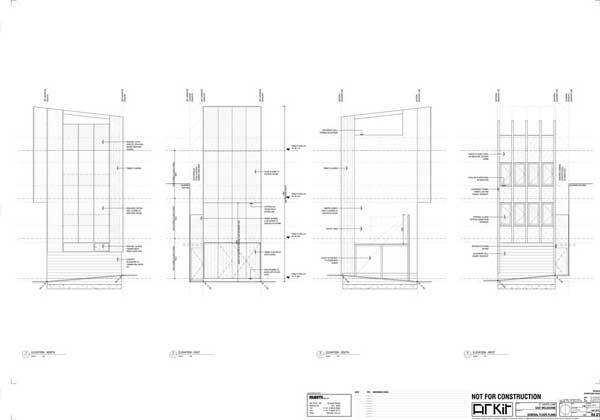 We are close to finalising the structure of the build and should be ready to apply for our building permit in June, 2013. If all goes according to plan, construction will commence early August, 2013. Here’s a sneak preview of the 5×4 Hayes Lane building will come together… proposed by ARKit. Today we had a meeting with Craig Chatman (ARKit). At this point we are close to finalising the structure of the build. –	Internals & finishings –e.g. bamboo, plastic, paperock compressed paper. –	Kitchen appliances –fridge, dishwashers, oven, etc. After considering all the possible materials, final decisions are yet to be made. With the help of our other team members, Tai Hollingsbee and Dr Robert Crawford, we’ll be able to compare the embodied energy of each product and choose the most eco-friendly one. The performance of our building should be finalised by the end of this month in which we will have a clear idea of the materials and appliances that will be used in the building. At this rate, we hope to begin construction August 2013. Stay tuned for future updates! 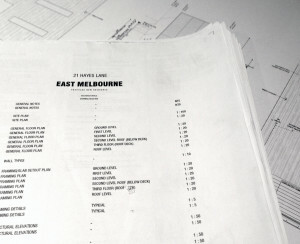 On March 7th, 2013, the 5×4 Hayes Lane Project Team had a design and development meeting at GHD. Attendees included Craig Chatman from ARKit, Tai Hollingsbee and Chris King from GHD, and Ralph Alphonso from Barley Store. The main purpose of this meeting was to discuss the best combination of systems and construction materials to be used that would achieve the smallest ecological footprint possible. 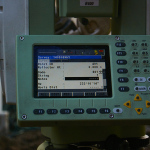 Overall, various materials and systems were brought to the table. The meeting saw even more opportunities for a sustainable build and the designs were further developed. We will resolve these issues in future meetings.